*A new Calendar window will open so be sure you do not have a Pop-Up blocker program on your computer. *If you select ‘Private’, the event will only appear for you to see. *If you select ‘All Pages’, this event will appear on the calendar for all of your SchoolNotes pages. You can also select a start/stop time for the event to let your parents and students know when the event is happening. You will then see a confirmation that your event has been saved. 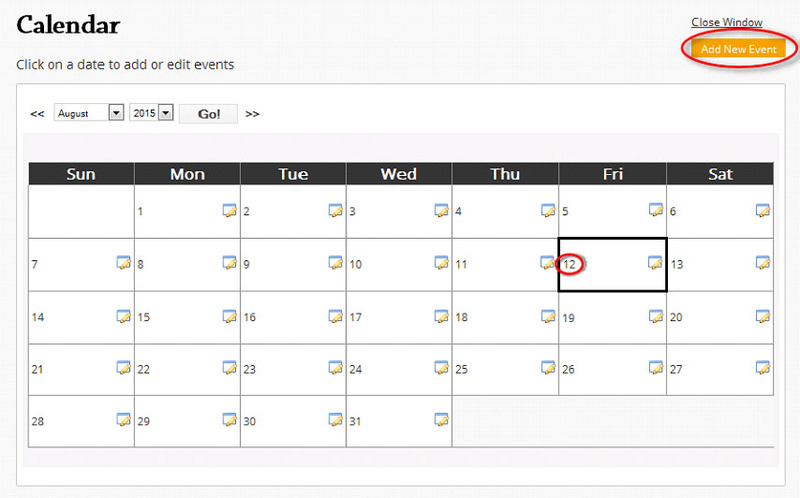 Premium Users can also add events to your calendar from your planbook. To do this, open up the planbook and select the Calendar icon. 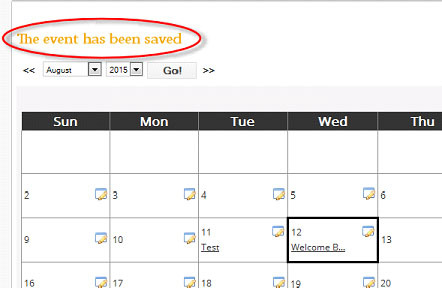 The calendar will open up and automatically populate the text area with the information that is in your planbook. 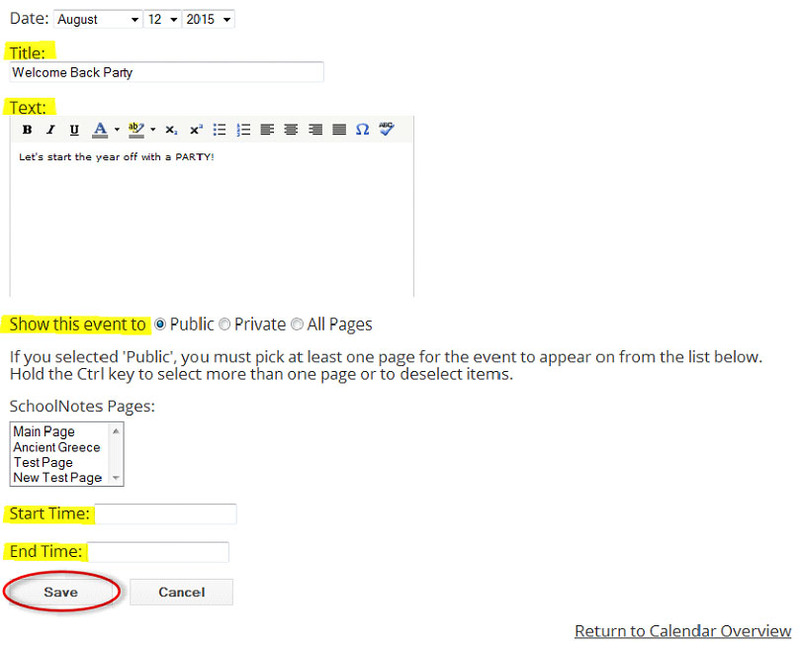 You will then need to add a title, select "Show this event to" option, select the page, hit "Save" and you are all set! You should see your future events appear on your teacher desk under "Calendar Events"